Born of Pembrokeshire parents, Beth Robinson was brought up in Chepstow, Monmouthshire. She graduated in Music from the Royal Welsh College of Music and Drama and the Royal Academy of Music before embarking upon a career in opera. For many years she was a member of the Royal Opera, Covent Garden, where she met her husband Alan, a stage technician. 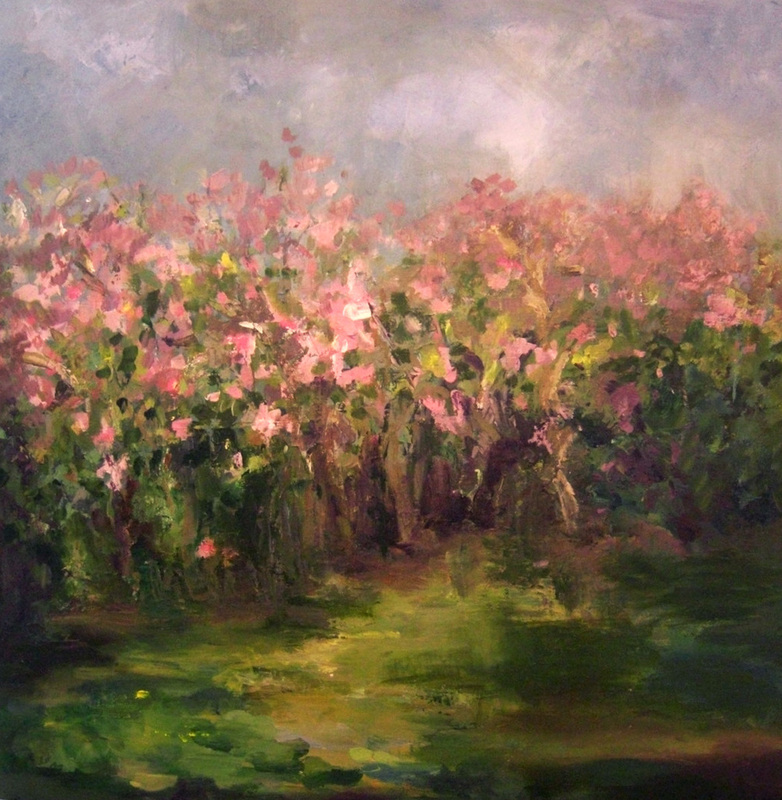 At the age of eleven, Beth had to make the choice whether to study music or art, and although she had experimented with silk painting, it was not until she and Alan moved to Trefin in North Pembrokeshire, when she retired from singing due to health problems that she was finally able to explore her talent for painting. From the first, she has found a ready audience for her work, with its emphasis on the light changes and moods of the North Pembrokeshire land and seascapes. Her work is sometimes figurative, sometimes abstract, but always demonstrate her emotional response to the scene before her. Beth's paintings now hang in many parts of the world, and are also owned by some well known artists. Beth and Alan (who, very conveniently, is now a picture framer!) now live in the foothills of the Preselis.